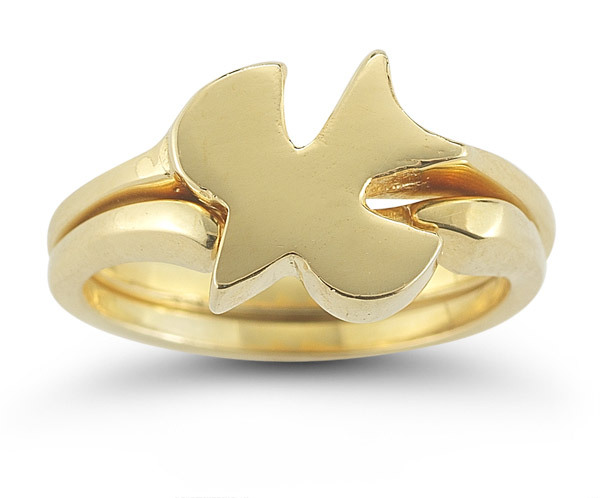 Get the beauty of a golden glow every day with this bridal ring set from Apples of Gold. Retaining the traditional elegance of 14K yellow gold but crafting it into a unique design helps this bridal ring set stand out. 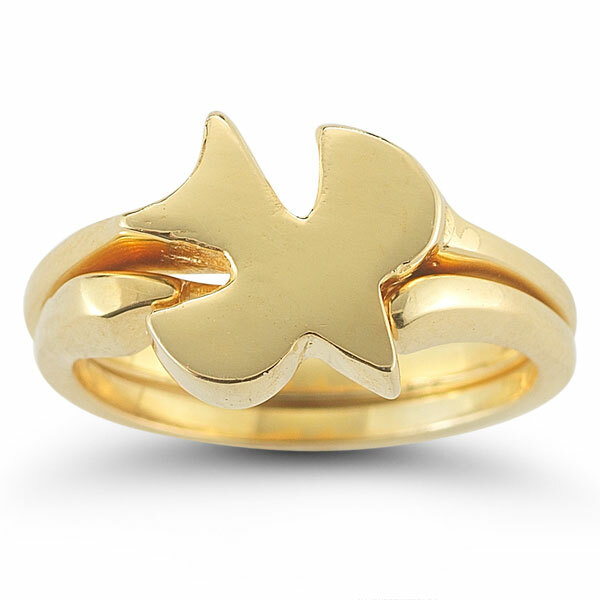 The yellow gold is carefully carved into the shape of a Christian dove for an excellent focal point. 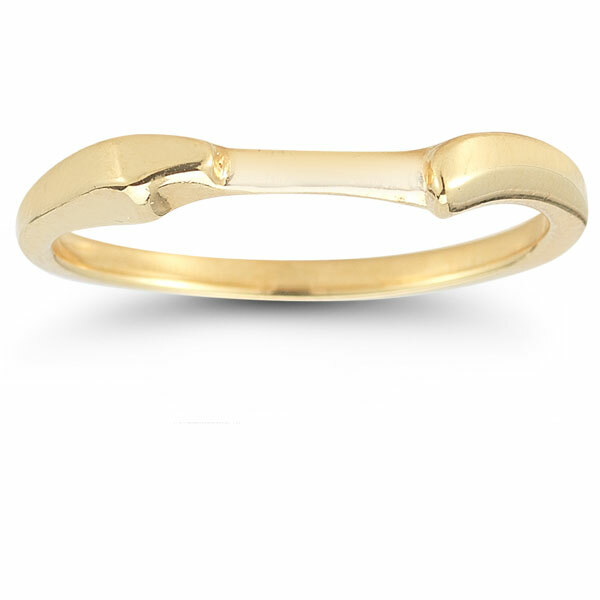 This centerpiece is polished to shine and flows into two yellow gold bands that also show off a lovely style. Apples of Gold Jewelry guarantees the Christian Dove Bridal Wedding Ring Set in 14K Yellow Gold to be of high quality and an authentic engagement ring with real diamonds, as described above.